SECO’s program in Indonesia is mapped out in the Indonesia Country Strategy 2017-2020. This document acts as the guiding framework for Swiss support for the designated period 2017-2020. Switzerland has signed the Jakarta Commitment in 2009, thus committing to implement the Paris Declaration on Aid Effectiveness principles together with other Development Partners of Indonesia. Switzerland and Indonesia have a long tradition of economic development cooperation, dating back to the early 1970’ies. SECO, the part of the Swiss Ministry for Economic Affairs, responsible for economic development cooperation to middle income countries, has been working in a close partnership with Indonesia since 2009. The last four years of cooperation have been very rich, and the joint program has produced very successful development results under the overall objective to promote sustainable growth which creates new jobs, encourages higher productivity, and contributes to reducing poverty and inequality. The following short movie shall pay tribute to these past four years of cooperation. Rather than presenting the results of the projects ourselves, we have chosen to take extracts from movies produced by our partners. We hope they will give you a lively picture of these four years of partnership and of some of the results achieved. SPAN is state treasury and budget system which we are adopting. And today I would like to officially launch this state treasury and budget system. This activity is under PFM Trust Fund on public financial management. We hope that university students as well as the general public will be interested in having a better understanding of public financial management and in turn will actively participate in monitoring the management of public resources. One way is through SMEs. And I know the money I make could contribute to the country. IFC World Bank Group works with SECO to support Ministry of Law & Human Rights conducting fiducial reform because we consider that access to finance for MSMEs is essential for the economic growth of the country. I think it will be huge benefit to request IFC’s involvement in more government programs, not limited in the Ministry of Law & Human Rights. IFC World Bank Grop, supported by SECO, has been working with the Ministry of Human Rights and Law since 2012. For us, (working with IFC) has been very helpful, and we are very thankful for many years of outstanding cooperation. Especially if we ask for assistance, what is surprising for us is, we receive 24 hours assistance. Whenever we request for assistance, our IFC colleagues would be wholeheartedly provide full assistance. SOFIA reveals great opportunities for financial institutions to reach new customers. “I built a kiosk using a IDR 2 million from a cooperative. I didn’t need to provide collateral, so it’s easy for me to get loan. Since then, I borrowed increasing amounts up to IDR 50 millions. The main goal of project FORWARD is to develop, specifically for Indonesia, suitable technologies, strategies, and implementation models to recycle the organic fraction of municipal solid waste. We have been looking at how detrivores treat organic waste and now we bring that into technology. If there is a profit from biowaste, I’m convinced that this is an incentive to improve waste management. Now is the time for better organic waste management. Basically this is our second year with SIPPO. It has been very intense but also has been very effective from our experience since last year. It makes our participation in Biofach has been very effective. Working together with SECO and SIPPO in promoting seaweed production, in order to get improving the quality and also accessing the international market. They are very enthusiastic to plant the seaweed because it has very wide and fast growth, (the quality of) our daily lives also improving. WISATA aims to contribute to economic development through sustainable tourism to improve the livelihood of the local population. To achieve this, WISATA works in several main areas: Destination Management, Marketing & Network, Business Development, Community Involvement and Local Products, Tourism Education & Training, Government Support. SCPP takes a holistic strategy to the development of the cocoa sector. Also, by implementing internal control systems and farmer group training at district level, groups can be certified and may access price premiums for certified cocoa. My name is Muhammad Iqbal, I am 26-year old farmer from Bireun (Aceh) and I have been assisted by the SCPP Program. To young farmers, (I’d like to say that), you should not be embarrassed to be a farmer. By applying good agricultural practices in cocoa farming, I am now enjoying the results. 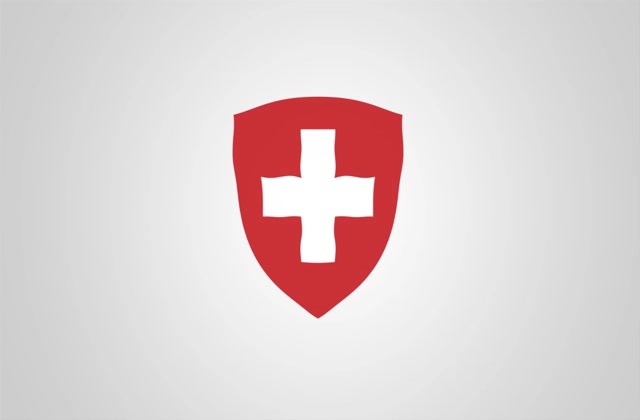 We’re looking back from four years of fruitful cooperation between Switzerland and Indonesia. The examples we just saw show the rich and diverse approach of working together, improving people’s livelihood and learning from each other. Indonesia has made great progress in recent years. The economy has grown steadily, poverty has been reduced, and major reforms are on the way. And yet there are still many challenges laying ahead: Creating more jobs and training young people to fill them, expanding the infrastructure, and tackling inequality. Switzerland is ready to continue its support to the government of Indonesia on its successful path to increase the prosperity of the people. We would like to thank all our partners and we are looking forward to more years of productive and rewarding cooperation.